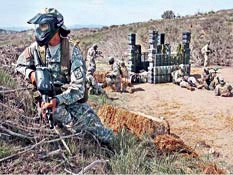 Paintball USA is located in Oxnard, California. An incredible experience is offered for any level of paintball warrior. so it hurts a whole lot less. 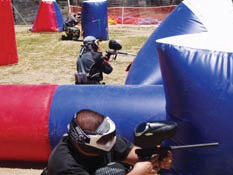 events and other sports recreation club activities including our great Paintball games! Paintball USA is open every Saturday and Sunday from 9AM to 4PM. Players must be 10 years or older. Waivers are required and must be signed by parents for players 10-17 years. RESERVATIONS ARE REQUIRED. Call 661-255-5332.